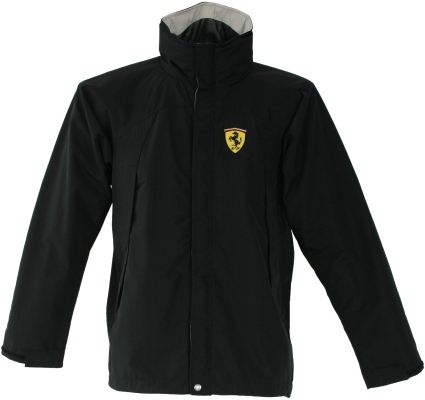 Ferrari Ripstop Mesh Lined Weather Jacket - Black. Matt finish baby rip stop with milky coated back and mesh lined, contra color facing and inner trim. 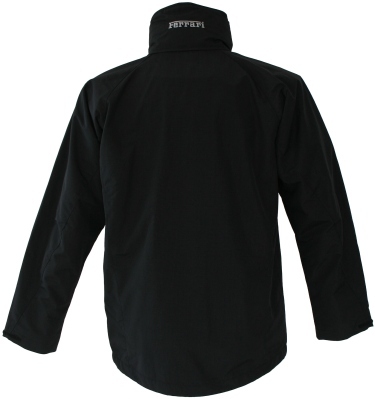 Contour shaped collar with fold away drawstring hood. Velcro grip storm flap weather protection for center zip and side pockets. Ferrari racing shield to left chest. 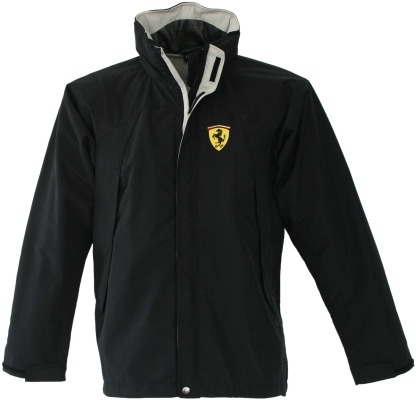 Ferrari embroidery on back of collar. Roll elastic draw cord in hem with adjusters.